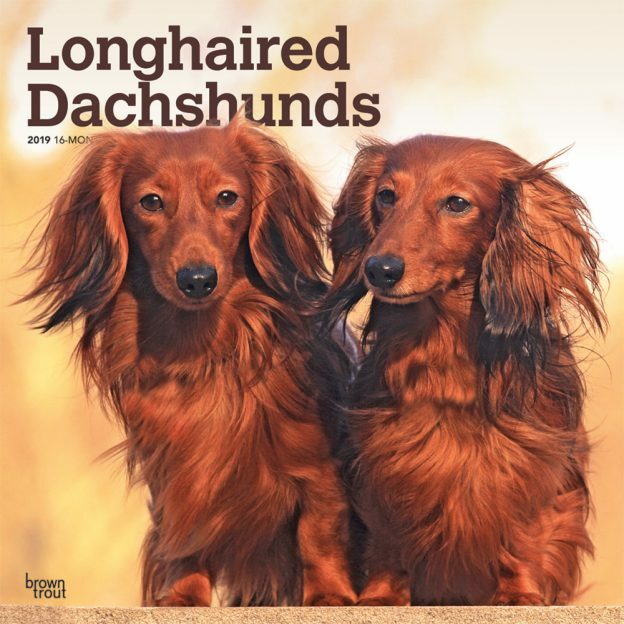 Longhaired Dachshunds were originally bred in Germany to hunt badgers. Initially they were a cross between the Smooth Dachshund and Spaniels, and thus tend to be a bit larger than the Smooth Dachshund. Low to the ground with a long, soft, shiny coat, the Longhaired Dachshund is bold, alert, and exceedingly affectionate. This Longhaired Dachshund square wall calendar is devoted exclusively to the longhaired variety of this fabulous breed. This calendar includes a free download of the DogDays™ app for the smartphone and tablet, which grants access to the world’s most captivating dog photos and backgrounds, fun puzzles, and a calendar featuring your favorite furry friends.